Technical cookies: We try to give our visitors an advanced and user-friendly website that adapts automatically to their needs and wishes. To achieve this, we use technical cookies to show you our website, to make it function correctly. These technical cookies are absolutely necessary for our website to function properly. Analytics cookies: We use these cookies to gain insight into how our visitors use the website, to find out what works and what doesn’t, to optimise and improve our website and to ensure we continue to be interesting and relevant. The data we gather includes which web pages you have viewed, which referring/exit pages you have entered and left from, which platform type you have used, date and time stamp information and details such as the number of clicks you make on a given page, your mouse movements and scrolling activity, the search words you use and the text you type while using our website. We also make use of analytics cookies as part of our online advertising campaigns to learn how users interact with our website after they have been shown an online advertisement, which may include advertisements on third-party websites. We will not know who you are, and only obtain anonymous data. Commercial cookies: We use these to show you Tregenna advertisements on other websites. This is called “retargeting” and it aims to be based on your browsing activities on our website, such as the destinations you have been searching for, the accommodation you have viewed and the prices you have been shown. How long does Leisure at Cheltenham cookies stay active? How can you recognise Leisure at Cheltenham cookies? Does Leisure at Cheltenham use third-party cookies? Yes, Tregenna uses the services of trusted and recognised online advertising and marketing companies. Tregenna may also use third-party providers for analytical purposes. To enable their services, these companies need to place cookies. When it comes to online advertising and marketing companies, we strive to only work with companies that are members of the Network Advertising Initiative (NAI) and/or the Interactive Advertising Bureau (IAB). Members of NAI and IAB adhere to industry standards and codes of conduct. NAI and IAB members allow you to opt out of the behavioural advertising. Visit www.networkadvertising.org andwww.youronlinechoices.com to identify the NAI members that may have placed an advertising cookie file on your computer. To opt out of an NAI or IAB member’s behavioural advertising programme, simply check the box that corresponds to the company from which you wish to opt out. Who has access to Leisure at Cheltenham cookie data? Only Tregenna has access to Tregenna cookies. Cookies placed by third parties can be accessed by these third parties. 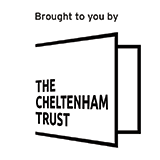 Does Leisure at Cheltenham use web beacons? As well as using cookies, Tregenna sometimes uses web beacons. A web beacon is a tiny graphic image of just one pixel that’s delivered to your computer either as part of a web page request or in an HTML email message. Either directly or through service providers, we use these pixels as part of our online advertisements either on our website or on third-party websites to learn whether a user who is being shown an online advertisement also makes a reservation; to track conversion with partner websites and to analyse the traffic patterns of users to optimise the services we bring to you.